The October 2015 flood resulted in extensive damage to residential and business property, as well as infrastructure, throughout Richland County. Recovering from this historic event will be a multi-year process. Please visit this page to stay informed on flood recovery information and news. Contact the Richland County Community Development Department at 803-576-2230 for additional information about the flood recovery program. Contacto el Richland County Departamento de desarrollo comunitario (803-576-2230) para obtener más información sobre el programa de recuperación de inundaciones, impreso en español. 리치 랜드 카운티 커뮤니티 개발 부서 (803-576-2230) 홍수 복구 프로그램에 대 한 자세한 내용은 연락처에에서 인쇄. Richland County received an additional $7.254 million in Community Development Block Grant-Disaster Recovery (CDBG-DR) funding to assist more residents. CDBG-DR funds primarily benefit low- to moderate- income residents living in Richland County excluding the City of Columbia. Intake begins May 21, 2018. For more information about the program click here. To apply for assistance, complete the Single Family Homeowner Rehabilitation Registration Form. Please note: Application intake for the Single Family Homeowner Rehabilitation Program concluded on September 21, 2018. Unfortunately, after natural disasters, fraud often occurs. Please be aware of scams and potential fraud, and take a moment to review the fraud alert provided by United Way Worldwide by clicking here. Richland County is committed to efficiently and effectively addressing the long-term needs of flood victims through programs designed to help residents, businesses and public infrastructure. Richland County is seeking funding for flood recovery from several sources, including a Community Development Block Grant-Disaster Recovery (CDBG-DR), a Hazard Mitigation Grant and Flood Mitigation Assistance. Click here to read important information and documents about these funding sources. Click here to read the approved CDBG-DR Action Plan that was approved by HUD on Nov. 16, 2016. Click (English) (Spanish) (Korean) to read the draft CDBG-DR Action Plan that was presented to the public for input. View the CDBG-DR Action Plan Amendment No.1 here. View the CDBG-DR Action Plan Amendment No. 2 here. View the CDBG-DR Action Plan Amendment No. 3 here. Click here to read the public comments for the draft CDBG-DR Action Plan. Click here to read the Notice of Intent to Release Funds. Click here to read the 2018 Income Limit Areas: Single Family Homeowner Rehabilitation Program, which includes the County's approved prioritization criteria. Click here to access the HUD income limits. The first round of registration for federal housing assistance and mobile home replacement began May 15, 2017 and concluded June 15, 2017. Registration does not guarantee federal aid will be received. CDBG-DR funds are prioritized by the U.S. Department of Housing and Urban Development (HUD) to assist low- to moderate-income, elderly and disabled households. Click here to view the 4286 Hazard Mitigation Grant Program Property Acquisition Public Notice. A number of properties located in a floodplain were severely damaged and have chosen to participate in a project that will remove the damaged properties. For the proposed applications, the voluntary acquisition of existing flood-prone structures and the underlying land will be conducted and the land will be converted to open space through the demolition of the structure. Click here to view the 4241 Hazard Mitigation Grant Program Property Acquisition Public Notice. The Blue Ribbon Committee, established by County Council to serve as a stakeholder group representing the community, makes recommendations to Council about flood recovery efforts and how best to use flood relief funds. Click here for more information. Richland County created a Citizen Participation Plan to detail how residents can participate and stay engaged in the planning, implementation and assessment of the County's flood recovery process. Click here to learn more. 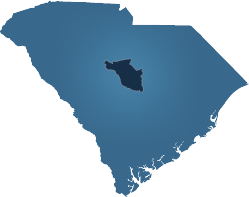 This plan outlines Richland County’s strategy for intermediate recovery operations and is designed in conjunction with the South Carolina Intermediate Recovery Implementation Plan and the Richland County Long Term Recovery Plan. Click here to read the plan. View the Administrative Policies and Procedures here. View the Programmatic Policies and Procedures here. View the Procurement Procedure Manual No.1 here. View the Procurement Procedure Manual No. 2 here. View the CDBG-DR Financial Management Policies and Procedures Manual here. HUD will regularly conduct evaluations of Richland County's flood recovery actions with regard to the CDBG-DR grant. Click here to read those reports. Click here to view the CDBG-DR summary report of all procured contracts. The following is a compilation of contracts, addendums, change and task orders. Several local and state agencies, as well as the U.S. Department of Housing and Urban Development (HUD), have applauded Richland County for the transparency and public outreach of its flood recovery process. Click here to see a report detailing the County's methods for recovery, and click here to read a news release about the positive attention the County has received. Read flood-related news releases distributed to local media and posted on the County website by the Richland County Public Information Office. Click here for a list of news releases. Click here to view a section of the County's website dedicated to flood information that was initiated Oct. 6, 2015. Get prepared. Stay prepared. Access your emergency supply list and emergency preparedness kit here. County staff provides senior citizens with flood tools and emergency preparedness information at community events. Watch a previous emergency preparedness session here. To schedule an emergency preparedness session in your community email pio@richlandcountysc.gov.